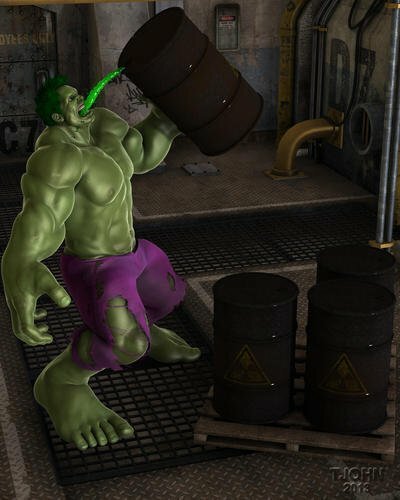 Superheroes Rebooted - Ready to Rrrrrender? WOWEEEEE, your facial morphs for your Batman Family, WW and Supes are just so spot on! Great Googly Moogly! Honestly, in Batman's case (and Batgirl's, to a slightly lesser extent), the cowl does, like, 90% of the work (thanks again, Cage!). Wonder Woman uses stevekitt52's Diana of Themyscira morph at 50%, with a little dialspun tweaking, and Superman and Robin are totally dialspun. I'm not quite the master morpher that CD20xx is/was, but my goal was to be at least evocative of George, Adam, Burt, Yvonne and Lynda, if not 100% Madame Tussaud accurate, so your praise means a lot. I appreciate it. Will there be a follow-up to this thread once it's locked? If so, please post the link to the new thread here so we can follow it there. Had some fun in ZBrush today. Looks neat though, good job! Well the Legion is still going strong. They have changed the way allot of the Legion members look including Wildfire but I'm a fan of the Cockrum and Grell Wildfire since those are the issues I remember so well! Working on improving the border around the helmet mask area. I think an insert brush will do the job. Just can't seem to find another way to make a nice rounded even loop with the front part flattened out. 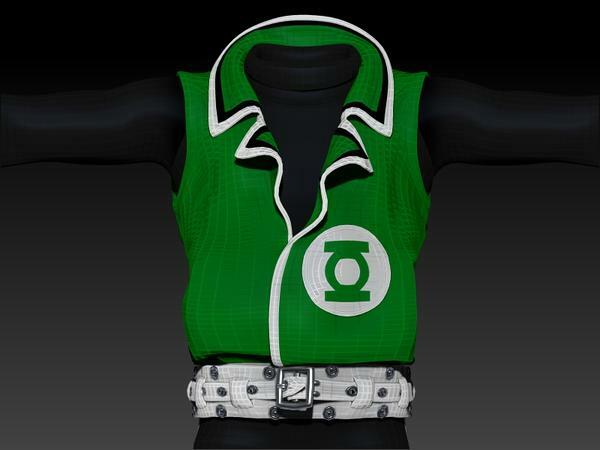 Test render of my GL texture for the Basic Supersuit that DAZ is finally fixing. Not sure what's up with the problem area I circled. When I zoom in, it vanishes. It only appears in a distant shot like this. What is your shading rate at? I've seen character textures that show seams if the shading rate is too high. No idea if that is what is happening here, just the only thing I could think of. Try it at .20 and see if it is still a problem. The default shading rate for DAZ Studio used to be .20, up until, I think version 3. One of the Elite textures used to show seams at the shoulders at 1.00, and when I switched back to .20 they went away. Renders take a bit longer, but I always liked .20 because the details are sharper. 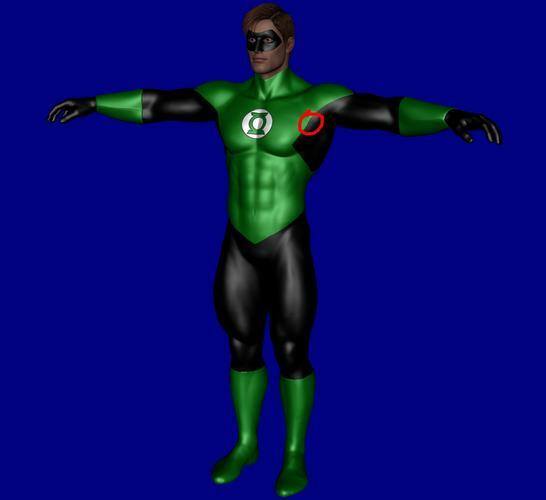 GL suit looks great. Like to have a copy of that for sure! Cool, glad it worked for you. Higher shading rates can be really useful for test renders because they will be a bit quicker, but anything I really care about I do at .20. I like having everything in higher detail, if I want fuzzy that is what depth of field is for! :-) I've heard some people say they go even lower than that, but I tried it, and frankly my eyes either weren't good enough to see the difference, or the difference wasn't big enough to matter. Still very much a WIP but got the shaders just about in place. Faceplate and blaster bubble needs some reflection. Also, if Joe is about. 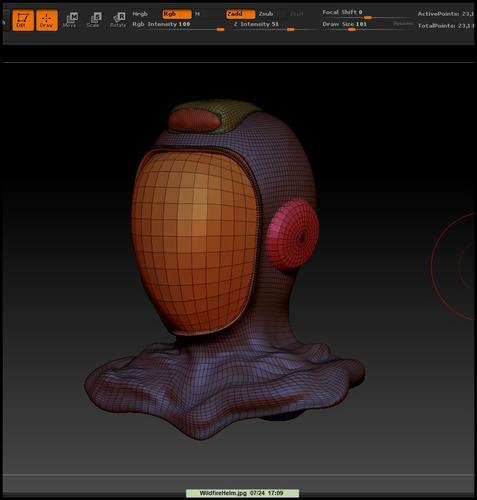 I'm really wanting to create some hard surfaces in ZBrush but don't know how to go about that. I don't like the Faceplate trim around the bubble still. I really worked on getting that improved but seeing it here I still hate the way it's looking. Any suggestions or tutorials you can point me too?? 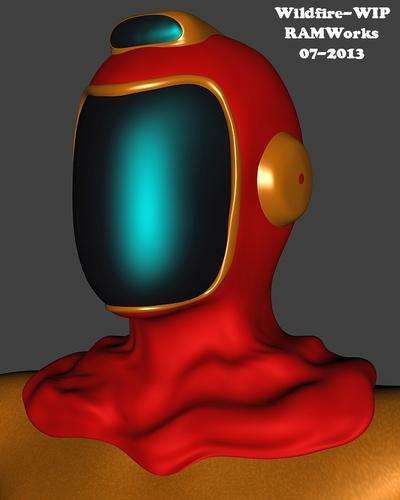 Again, ZBrush is what I prefer to use mostly! just keep the polycount low and experiment with with edgeloop and inflate. the fewer polygons you're working with the easier it will be to keep surfaces flat, even width and straight. with lots of polygons things get lumpy fast. try out the different delete and align loop options in the geometries edgeloop tab too. 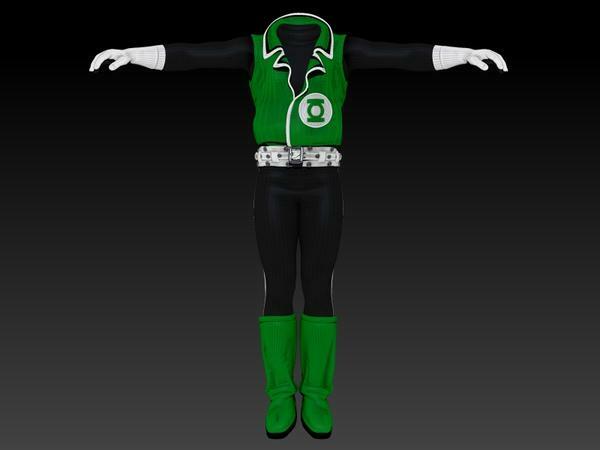 Your Guy Gardner outfit looks awesome! I never read many comics as a kid and even as an adult, I've only followed one title with devotion for several years, Fred Perry's Gold Digger from Antarctic Press. But some characters just grab my interest. One 'villain" that falls into that category is Otto Gunther Octavius, better known as Doctor Octopus, one of Spiderman's oldest foes. I don't know, I just like the idea of this middle-aged, rather stout fellow, who, on his own likely gets heavily winded simply ascending a few flights of stairs, but with the aid of serpentine, clawed "WALDO" limbs can hold his own against beings who can bench press automobiles. I decided to go "old school" with this design. 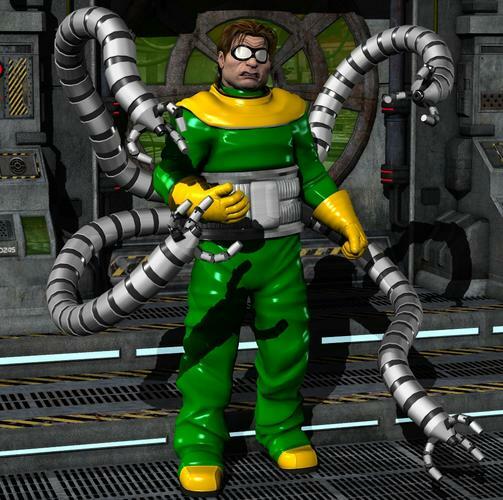 I gave Doc' Ock a rumpled haz-mat suit (offered in one of those long withdrawn Sanctum Arts sets). When introduced, Octavius a jumpsuit that depicted wrinkles and folds like most fabrics would have. 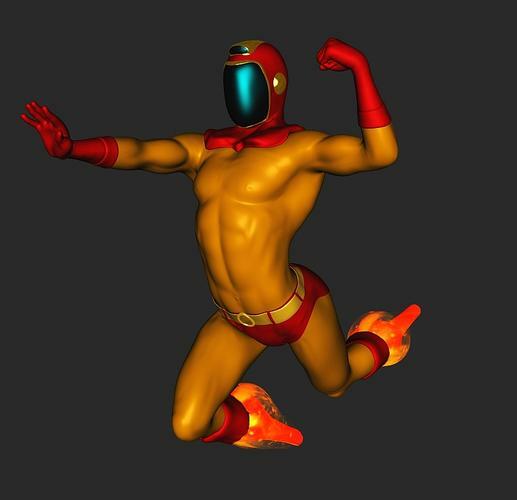 Only later did artists draw him in a "second skin" spandex ensemble. 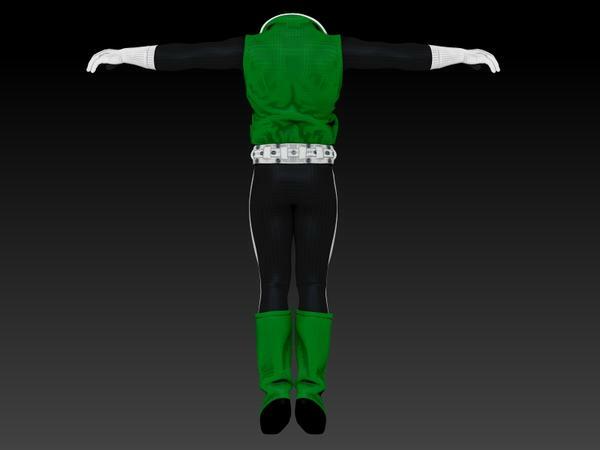 I also gave him the older, bulkier control harness that he originally wore over the jumpsuit. Later illustrators effectively did away with it. (The harness was supposedly hidden by his clothing, but as tight as his Lycra clothes were depicted, there were no contours revealing that he wore it.) There's one element I adapted from the newer designs. The tentacles emerge from the back of the harness as opposed to the sides (as was depicted for decades). If sprouting from the sides, Doc' can't let his normal arms hang freely. The WALDO limbs are from the A3 StellarKnights set by BugzLife. They look almost identical to the ones originally drawn by Steve Ditko. Only downside, they are not "EasyPose", but they did come with some presets. Doc Oc looks very good! Here is my next faze. Getting the boots refashioned to look like Cockrums design, came out well. Got the blaster bits on the boots. Need to make some clickable options to turn off the boot parts and the Genesis feet so they look good. 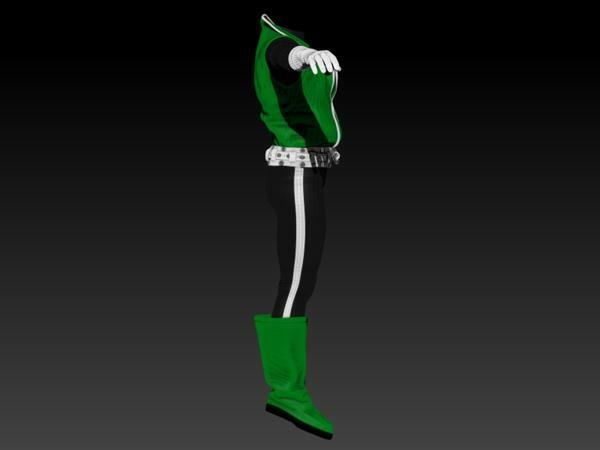 I think I'm going to do a 2nd skin rather than messing with the SuperSuit, seems like a good option for this sort of hero. Shorts are refashioned too, belt is wider and the sides are pulled up a bit more. ok, where did you find the tentacles? I never read many comics as a kid and even as an adult, I've only followed one title with devotion for several years, Fred Perry's Gold Digger from Antarctic Press. But some characters just grab my interest. One 'villain" that falls into that category is Otto Gunther Octavius, better known asDoctor Octopus, one of Spiderman's oldest foes. bold for emphasis WHERE link?